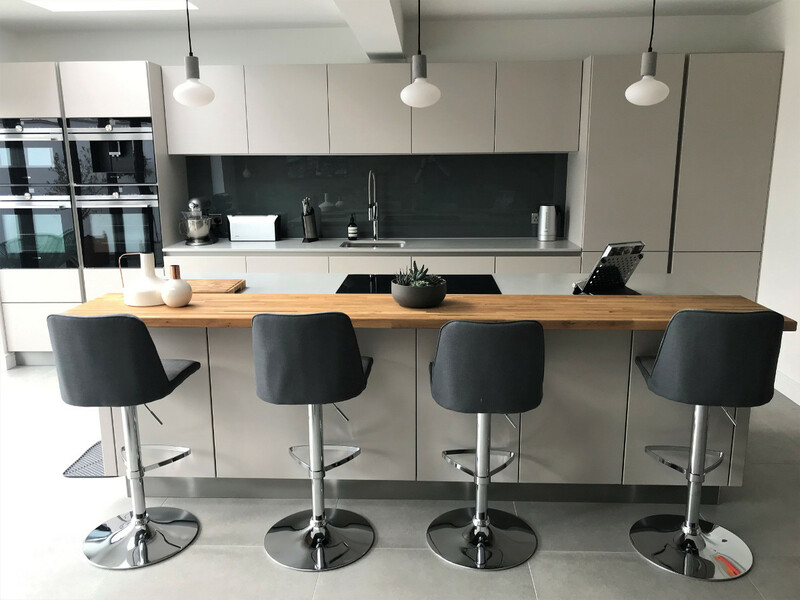 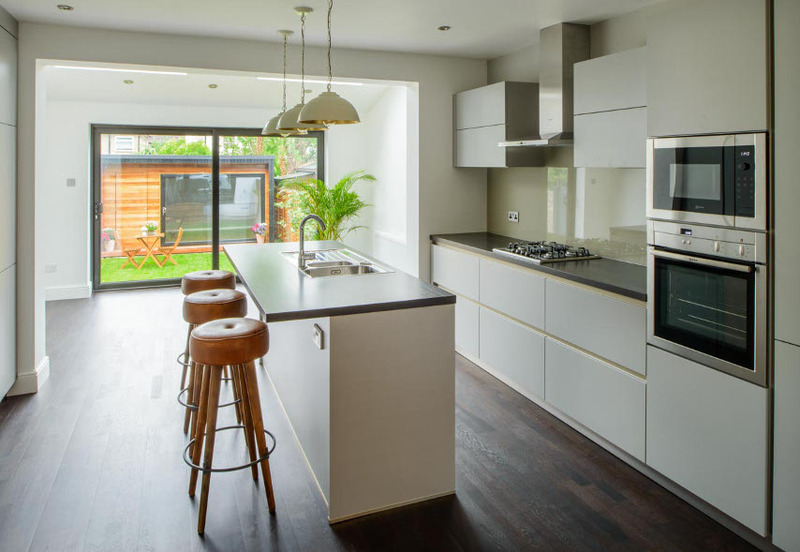 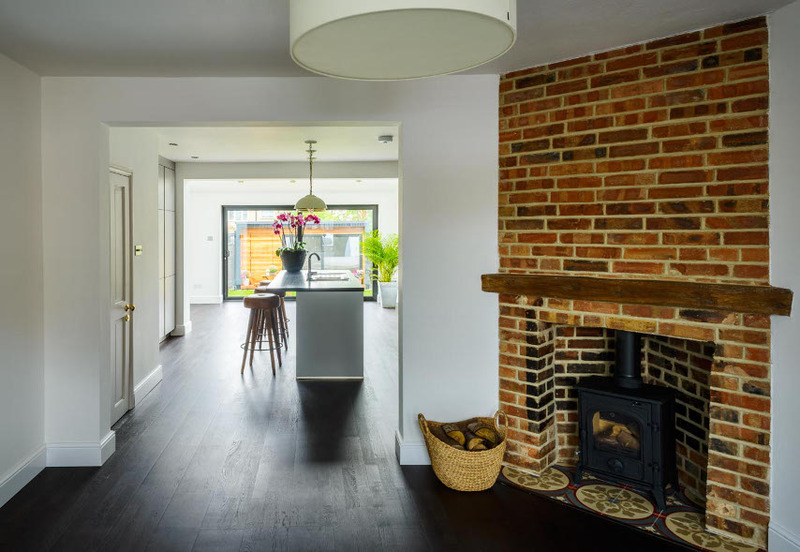 Here are some pictures of the modern, affordable Schuller C Range stone grey kitchen we designed and installed for Jessica Hedemann in St Albans, Hertfordshire. 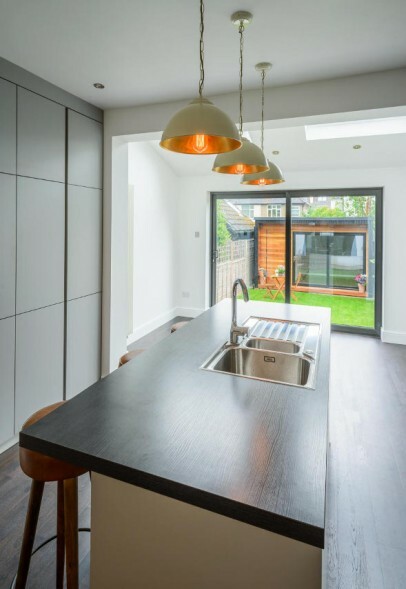 The colour of the kitchen units is stone grey and our customer chose one of Schuller’s own laminated worktops in Chestnut Basalt 40 mm. 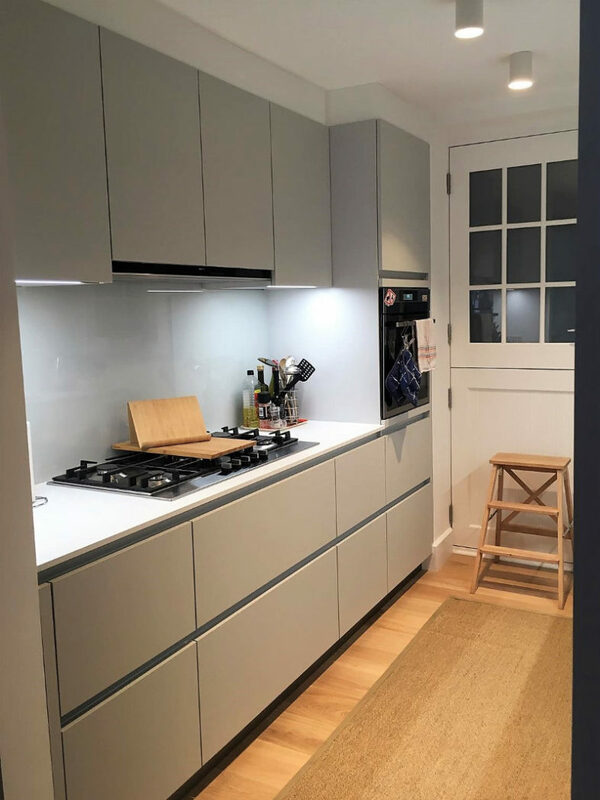 Internally the kitchen units feature VGB glass boxside drawers with Blumotion soft close hinges. 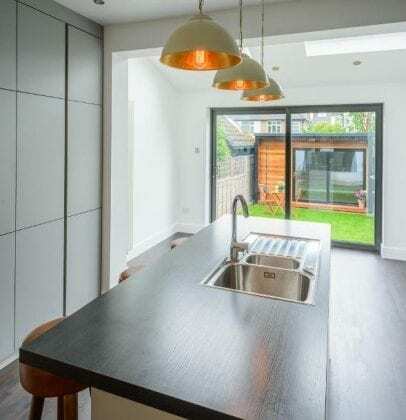 The kitchen wall units are 650 mm high. 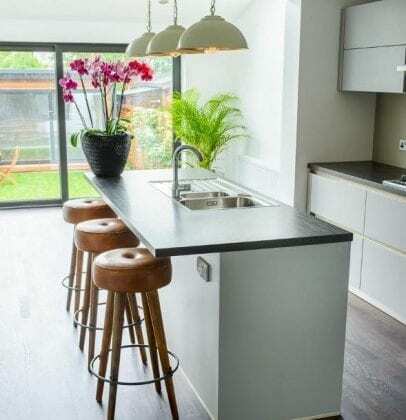 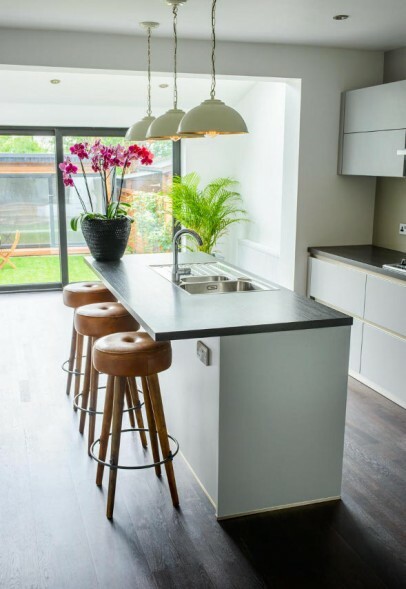 We really like the breakfast bar stools which not only adds vibrant colour to the island but also integrates natural materials really well into this contemporary German kitchen. 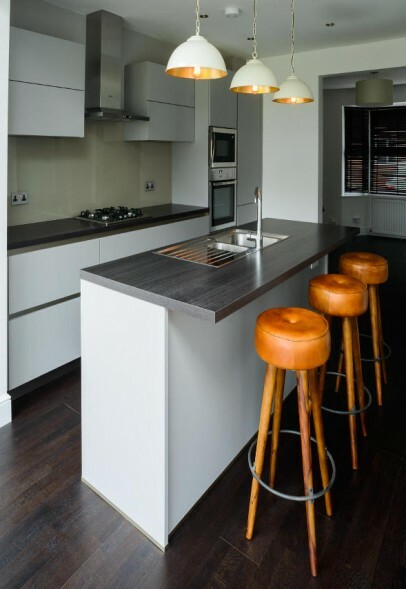 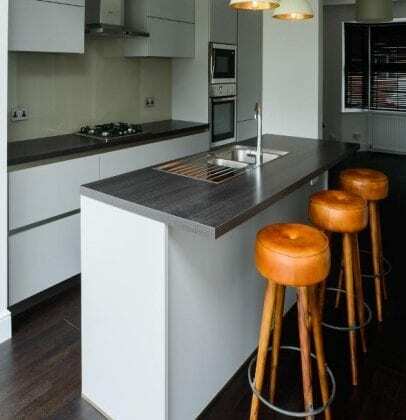 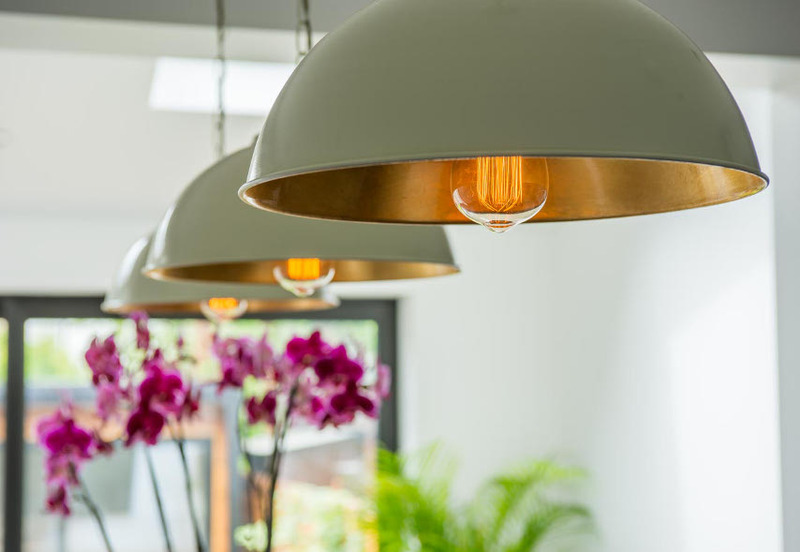 KDCUK are German kitchen design and installation specialists based in Cheshunt.